Lunar or Moon eclipse are phenomenas really amazing and photographing them is a challenge for many reasons. I shot my first total lunar eclipse in September 2015, 2 months after i received my first telescope : A Newtonian Skywatcher 150/750 on a Neq3-2 mount. Before that event, i already tried to photograph the Moon many times using my DSLR Nikon D3000. 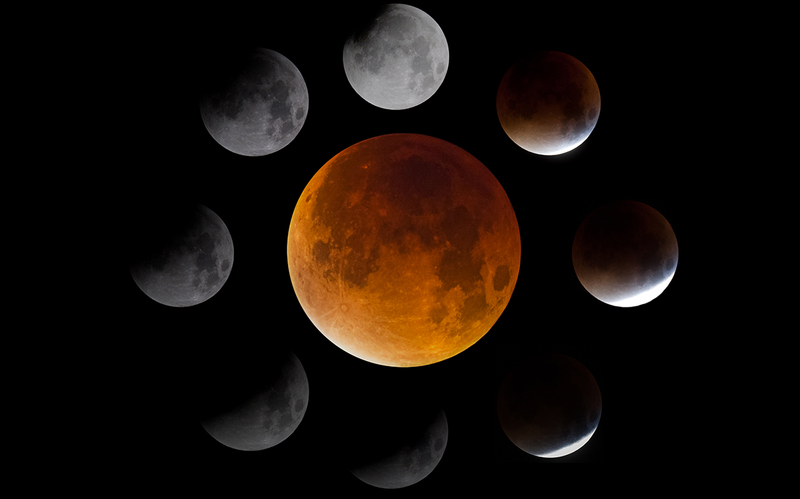 Lunar eclipse has different stages and during each stage the luminosity of the moon changes. So we have to touch each time to setting of camera (especially the exposure) to have the right exposition. During the total phase, the moon si so dark so stars can be visible around it. To be able to catch them, the exposure time may be longer (depends of the telescope, camera, …). In my case i had to expose about 1 or 2 seconds to catch stars. The polar alignement has to be price enough to not have star trails. An interesting thing to do is to take a picture of the eclipse each periode of time (about 5 minute in my case). So as result we’ll have almost all the stages of the eclipse. 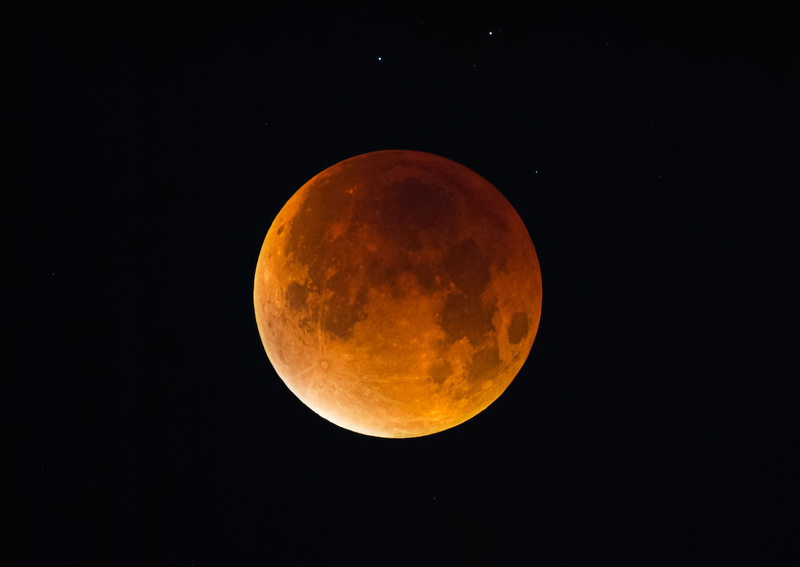 We can use these picture to do some animations of the lunar eclipse or to load the best of them as layer in a photo editing tool like Photoshop. The result is very cool as you can in only image see all the stages of the eclipse. My image was selected and published in 3 magazines : BBC Sky at Night, All about Space and Hotshots 2016 by BBC Sky at Night. Next story How i shot 6 planets with a simple Webcam and a telescope?